5/16" 25 foot Flexshaft with Medium Head for cleaning grease out of 2" and 3" pipe. 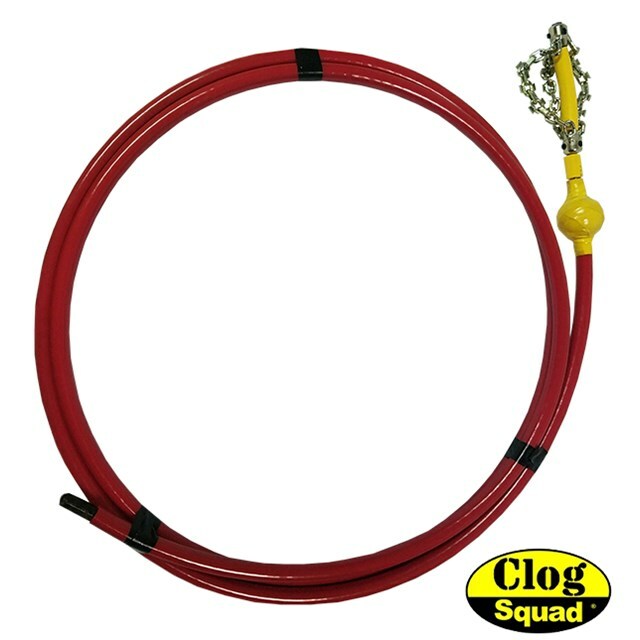 Great on Commercial applications like 2 and 3 inch traps, shower drains, floor sinks, mop sinks, 2" urinal drain lines, 2" commercial kitchen sinks lines; Used for Clay, Copper, Cast, Galvanized, PVC, ABS Corrugated, and Orangeburg. What I like most about this shaft is that I can clear a blockage through small openings like traps. I can go through a mop sink, floor sink, floor trap and clear a main line. Great for 2 and 3 inch pipe- Kitchen sink lines that are 2", Love it for commercial kitchens, shower drains and floor drains. 25' is the longest that is manageable with a cordless drill after that we recommend the medium dog.